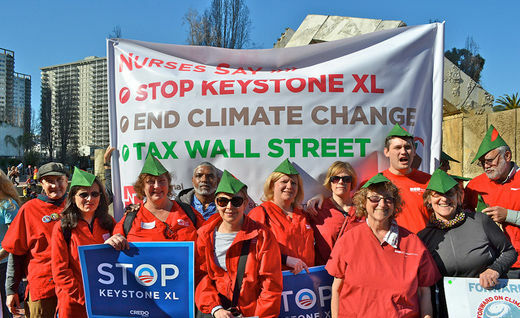 OAKLAND, Calif. – National Nurses United, the union which leads those unions who oppose completion of the controversial Keystone XL oil pipeline’s northern segment on environmental grounds, cheered President Obama’s veto threat against GOP-pushed pro-Keystone legislation. But the new totally GOP-run 114th Congress brushed Obama, NNU and environmental groups aside. It planned to quickly pass a bill ordering the administration to grant Keystone’s sponsor, TransCanada, a federal permit to build it. Obama’s spokesman said his boss would veto the measure, and let the normal process for such major projects run its course. Keystone is a divisive issue within the labor movement. 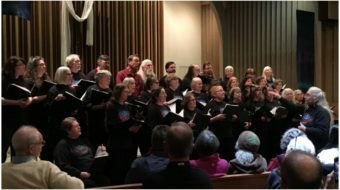 NNU, the Amalgamated Transit Union and several other unions campaign vigorously against it. Construction unions just as forcefully back it. Obama must decide the issue after federal and state processes end. “The president’s commitment to veto any pro-Keystone legislation should send a clear message to Congress to stop trying to force through this disastrous project,” said NNU Co-President Karen Higgins, RN. But Obama did not flatly reject it. Higgins urged him to do that. Keystone foes say the pipeline would carry “dirty oil” from Alberta’s tar sands to the U.S. Gulf Coast refineries at a cost of an unacceptable increase in the gases that cause global warming. NNU, citing reports from its members, also say the gases harm human health. Citing a State Department environmental impact statement, construction unions say extraction and transmission of the oil from the Canada-Montana border to Oklahoma would have minimal impact while creating thousands of jobs, including thousands of union construction jobs. Years ago, TransCanada signed a Project Labor Agreement with the Operating Engineers, the Laborers, the Teamsters and other construction unions to have union workers erect Keystone. The PLA also covered Keystone’s southern segment, already built and carrying oil between a large Oklahoma oil terminal and the Gulf Coast refineries. The construction unions also point out TransCanada made numerous changes to Keystone to minimize the possibility of oil spills and emissions of carbon-causing gases. That doesn’t budge NNU, nor does new GOP hegemony in Congress. 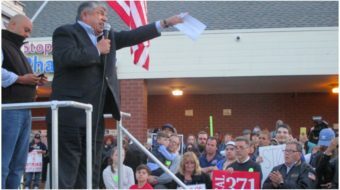 “While the composition of Congress has changed, the facts about Keystone have not,” NNU said. “This project is not a jobs bill, it is an unwarranted gift to big oil and the fossil fuel industry that will jeopardize the health of our patients, our communities, and our planet,” Higgins elaborated. “Tar sands mining pollutants have been linked to cancer, leukemia, genetic damage, and birth defects,” she previously pointed out. Construction unions had no comment on Obama’s veto threat. They lobbied hard for a similar law, by then-Sen. Mary Landrieu, D-La., in the Democratic-run Senate last year. A Democratic filibuster by Keystone foes killed it and Landrieu later lost her seat.